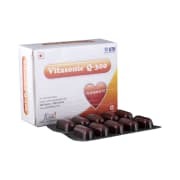 Vitasonic Q-300 Capsule is a soft gelatin capsules that contains Coenzyme Q10 as the active ingredient. It is a heart energizer and increases functional capacity of the heart. Useful in cases of heart failure, dilated cardiomyopathy, and statin induced myopathy. 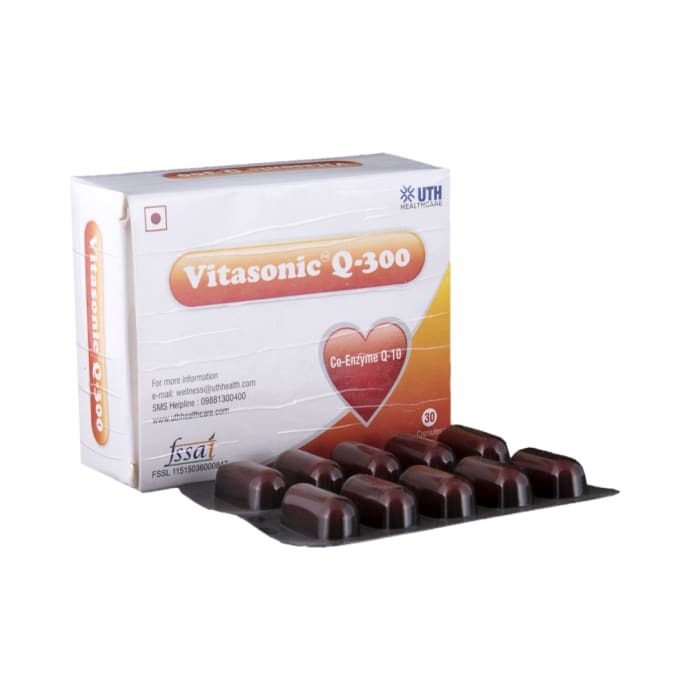 A licensed pharmacy from your nearest location will deliver Vitasonic Q-300 Capsule. Once the pharmacy accepts your order, the details of the pharmacy will be shared with you. Acceptance of your order is based on the validity of your prescription and the availability of this medicine.